Apple seems determined to create the premium ad network which ensures that the quantity of app installs doesn’t fall behind in terms of their quality. The recent introduction of Creative Sets within Apple Search Ads and new 10-screenshot limit in the App Store are yet another arguments in favor of this presumption. Creative Sets allow Apple Search Ads managers align various keywords with different screenshots making your ad banners more personalized and relevant. At the same time, screenshots limit enhancement gives you more space to play around and nail pitch-perfect messaging for various targeting groups. We shouldn’t forget that all this happens in the context of the App Store itself, the place where around 65% of app discoveries take place. So with storefronts enhancement, investing in Apple Search Ads is a must. 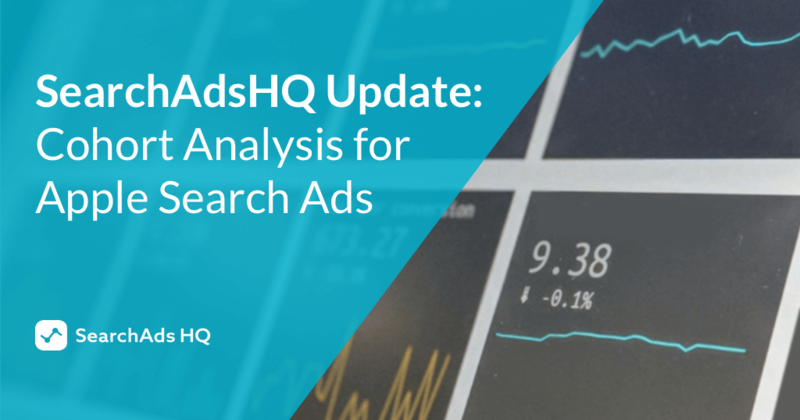 Furthermore, if you want to ensure the success of your experience with this ad network, it’s worth opting for SearchAdsHQ which helps you make Apple Search Ads profitable at scale. 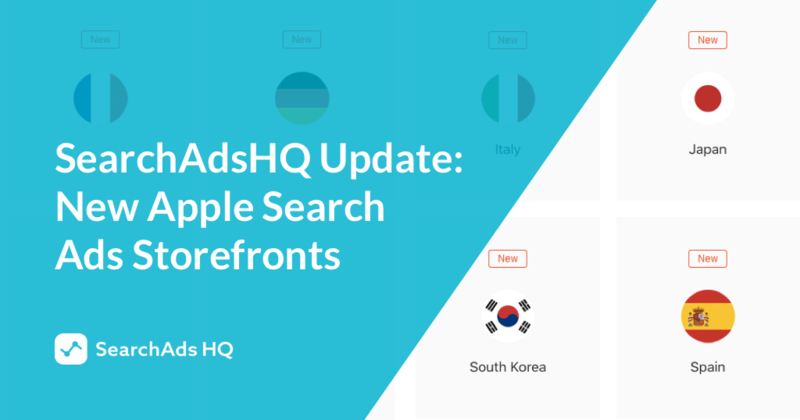 Along with the support of all Apple Search Ads storefronts from the day they go live, SearchAdsHQ team is happy to announce that the work of dashboards became 4 times higher and filter option for Campaign и Ad Group was introduced. The latter update makes the work with ad account structure more flexible. 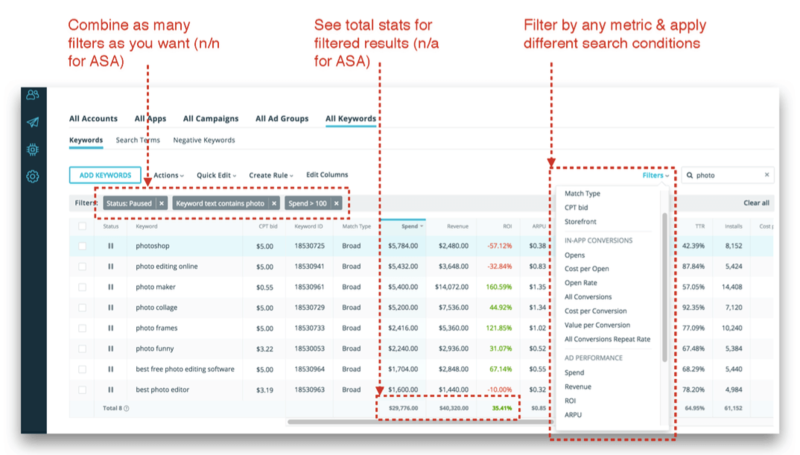 The filtering option allows seeing in-depth analytics only for Campaigns/Ad Groups of your interest streamlining setup, audit, analysis and even Apple Search Ads account management. Let’s say, you want to find the most performant brand keywords to increase their bid. With new filters, this task takes just a few clicks leaving time-consuming research on each ‘Brand’ campaign behind. Here is another example, in the course of account setup, this very feature helps users add performant keywords to discovery campaigns as negative in no time. With the emergence of new Apple Search Ads storefronts, campaign, the duplication of ad groups and keywords provides takes on its full significance. 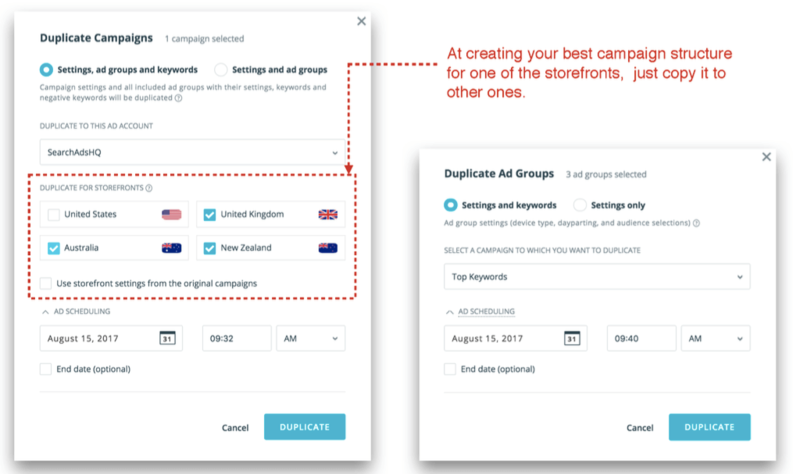 Thanks to this SearchAdsHQ feature, you can duplicate all campaign settings, ad groups, and keywords from your account just in a few clicks. 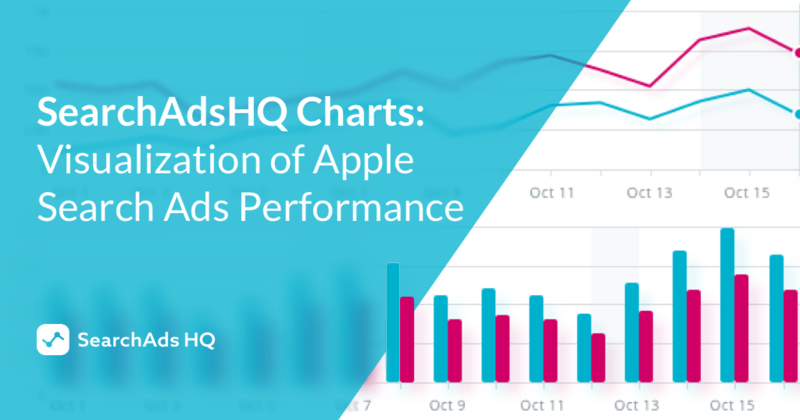 Basically, SearchAdsHQ complements data from Apple Search Ads giving you immediate access to ROI, CPA, Revenue and conversions stats from your mobile attribution systems. Thus, you can get the necessary reports for any time period and at any level. On top of that, the platform offers features that take your Apple Search Ads activity to the next level. Thanks to flexible in-app conversion management within SearchAdsHQ, you can focus only on the events that really matter for your business. 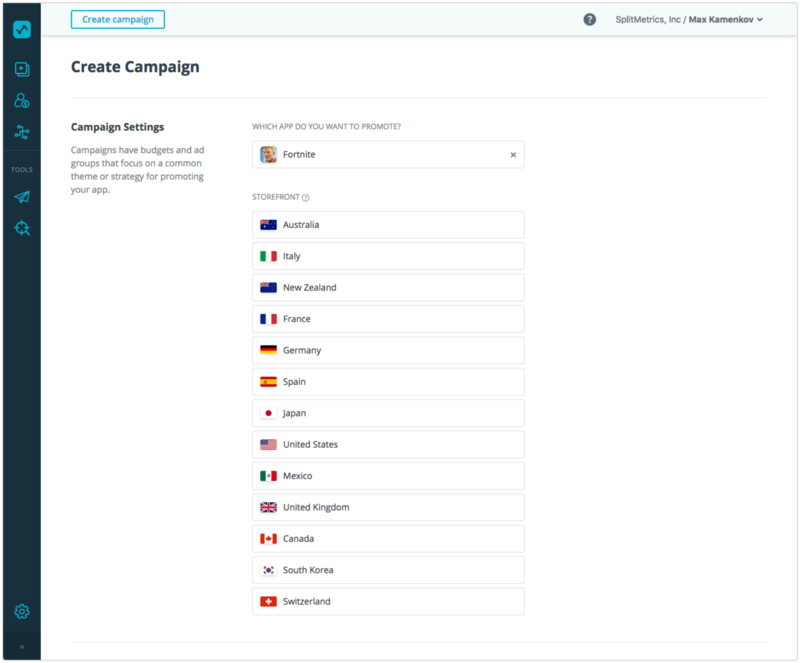 creating multiple campaigns, ad groups and keyword lists quickly and easily. giving trending keywords auto suggestions and adding new trends to the group right away. SearchAdsHQ automated bidding ensures that your eCPA doesn’t exceed target CPA. It also eliminates guesswork allowing to manage bids based on in-app actions that users take. Set up the bidder in no time and see live stats on your SearchAdsHQ dashboard. Furthermore, you can set your own optimization rules and alerts within SearchAdsHQ. Such auto-pilot management with customizable rules gives you full control and transparency at no additional cost. 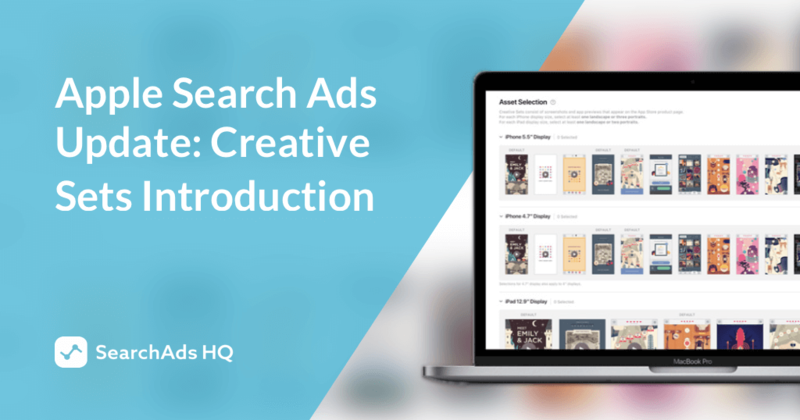 Unleash the full shooting potential of Apple Search Ads with SearchAdsHQ – the power editor for campaigns that helps you earn more doing less.